Breeze technology offer tremendous advantages over the previous classic lubrication applications. HPM Breeze can be used on portal milling machines, turning and milling centers, multi-lobe turning centers, multi-spindle machines and all other machining centers. On average, between 5 and 50 ml of lubricant per process hour and tool are used for the machining process. Depending on the requirement of the individual operation (up to 200 ml per process hour) the consumption values can be adjusted for a short time. Only an axial spindle rotary feedthrough or similar is required. No change in the spindle is required by our 1 – channel technology. If traditional lubrication requires a large number of systems to cool and clean the emulsion, to process the chips and to treat the wastewater, all these items can be omitted when processing with the HPM Breeze process. Used on simple processing machines (eg boom drilling machines, manual lathes or mailing machines with tools The HPM Breeze Z05 mist mixing nozzle is suitable for highly dynamic and complex processes, as the medium and the air are brought together and mixed in a process-oriented manner. Due to the process-oriented MQL generation, a short “span to span time” can be achieved. The individual parameters can be set independently of the speed. 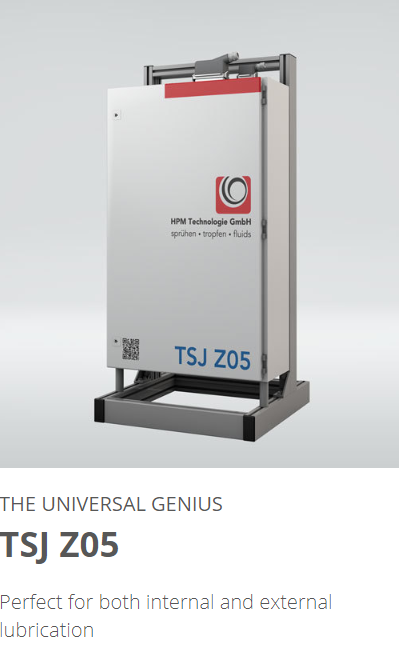 If no internal lubricant supply is available in the machine tool, the HPM Breeze TSJ Z05 can also be used for the external lubricant supply. Concentrated power paired with the simplest operation and attractive price. 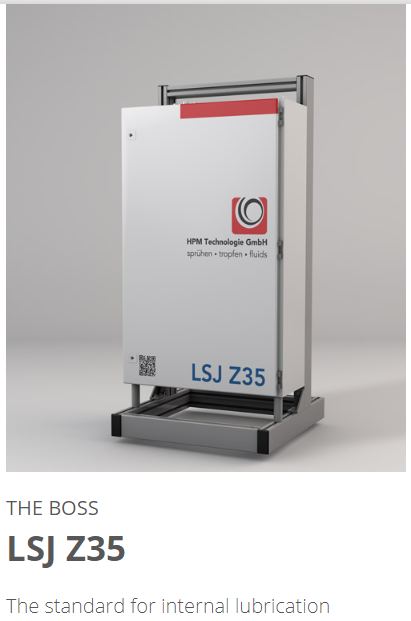 In our LSJ Mini we have combined all the advantages of the big brother LSJ Z35 with a compact design. The pressure can be optimally adapted to your requirements by means of manually adjustable pressure regulators. Due to the additional possibility to regulate the aerosol saturation directly at the container you always get an optimal spray result. 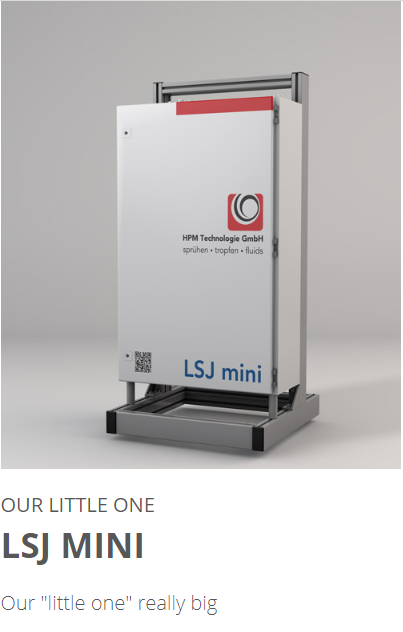 Due to the unique possibility of operating our Mini LSJ up to an operating pressure of up to 15 bar, even demanding machining can be realized. This system can be optimally used with always consistent tool operations. Once optimally adjusted, we offer you an absolutely reliable system. 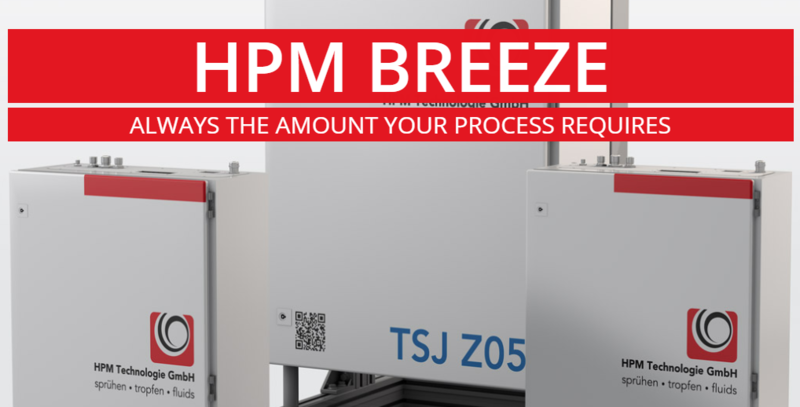 The HPM Breeze process is the logical further development of previously known processes for the application of liquids of all kinds in the finest form. Based on previous core applications (volume lubrication / MQL / MMCS), the HPM Breeze process adopts today’s technical requirements and completely reinterprets the previously known possibilities for applying fluids. 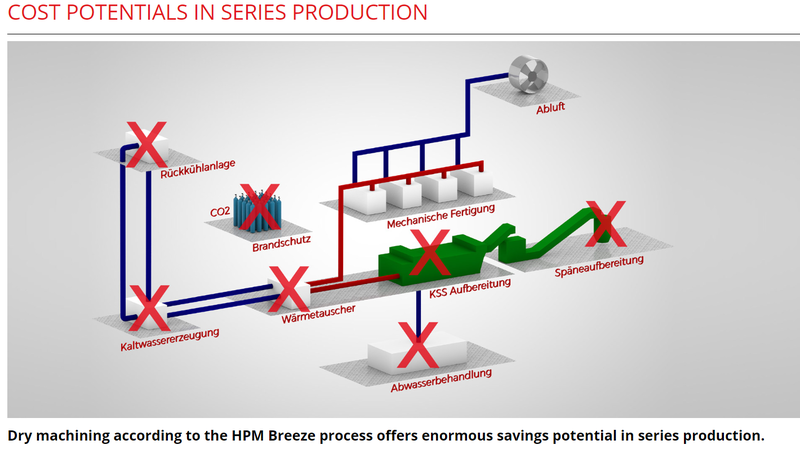 The HPM Breeze process is used to lubricate and cool machining processes with small amounts of coolants. Here, an air / liquid mixture is used, which prevents the formation of frictional heat through optimal lubrication. The remaining heat is dissipated via the tool and the chip. The LSJ Z35 is available in 2 variants. Standard are 10bar. For more demanding applications, the LSJ Z35 is available in the 16 bar version.